We are pleased to inform you that the East Area Sixers’ Training Course I is now open for registration. The Sixer’s Training Course is a leadership training for cub scouts who are selected to be trained as sixers. 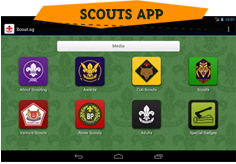 The course aims to inculcate values, leadership skills and aspire cub scouts to excel in their appointment as Sixers. It is also as a pre-requisite for the akela award, the highest award for the cub scout section. Registration for the course will be available on-line through scout youth programme registration portal at http://goo.gl/2MY0oe. The course is on first-come-first served basis and confirmation of application is upon payment of course fees by the closing date. In view of the youths’ interest under our charge, we will require the active involvement of cub scout leaders or assistant cub scout leaders for the STC. Therefore each participating pack is to have a minimum of one nominated unit leader to be in the organising committee. Packs who submit application without any unit leaders’ representation in the organising committee may be rejected. The date of the 1st committee meeting will be made known after the closing date. Attendance is complusory by all participating unit leaders. 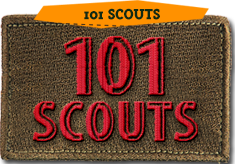 Any withdrawal of participation by cub scouts must be made in writing to Asssistant Chief Commissioner (East Area) at least one month before the course commencement date. No refund will be given if the notice of withdrawal is received less than a month. We look forward to your pack participation.